Germany is currently experiencing something for which the English have no nice expression. We call it a “mouse gradation year”. I was not able to find a catchy English term for “gradation year” – it’s what happens when a certain species showing population cycles reaches a peak year. On the other side, and to even the score, the German term “mouse” is rather unspecific compared to the repertoire the English-speakes have at their service. In German, if you are a rodent and you are smaller than – say – a human hand, you’re a mouse. You’re not a vole or a gerbil. If however you are a larger “mouse”-like rodent you are a rat. No “gophers” etc. required. The specificities of languages … Anyway, so Germany this year is essentially filled with mice, like the one shown here, which – so far as I know – is a vole where you come from. Now, it doesn’t take much to notice a “mouse gradation year”: of course you’ll simply see them, much more frequently than in non-gradational years. Or you’ll notice that the ground everywhere is riddled with more holes than the back wall of a gun range. 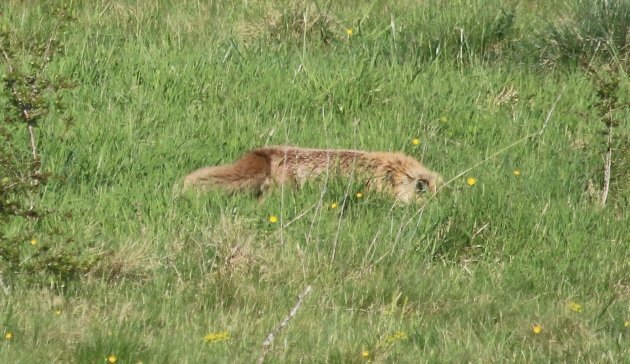 Then of course, there are the predators. 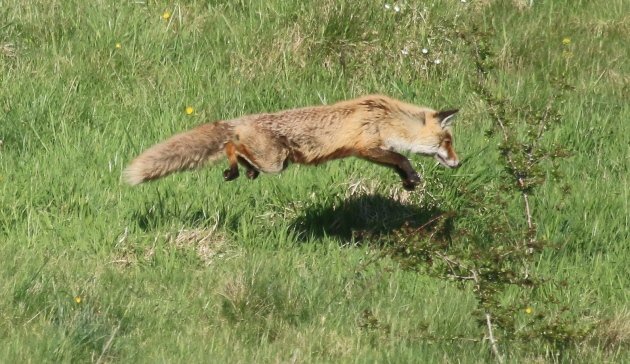 It’s not only the fact that you see more birds of prey than in “normal” years, they also show a different behaviour. The Common Buzzards, for example, who usually hunt by circling high above the landscape, will hover in kestrel fashion much more frequently. The kestrels, on the other hand, will more frequently hunt from low perches. And finally, there will be Marsh Harriers everywhere breeding in grain fields instead of reeds. Gotta be mouse gradation. But of course the mammalian meat eaters will be happy too and reproducing like there’s no tomorrow. 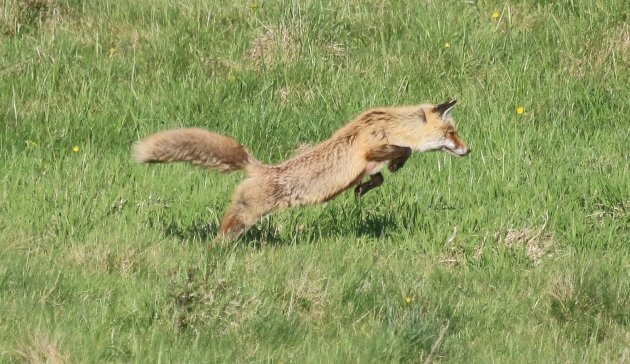 In Germany, our most common large mammalian predator is the Red Fox Vulpes vulpes. 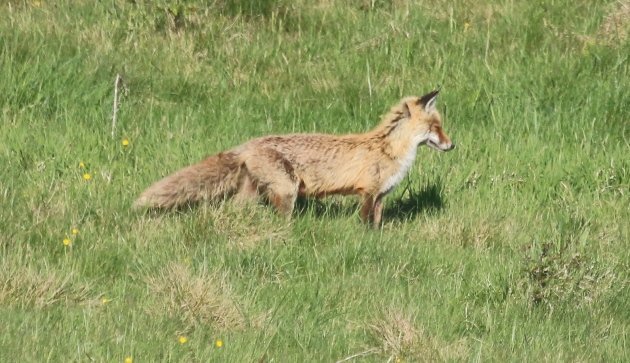 Foxes are very common in Germany and occur even within cities. 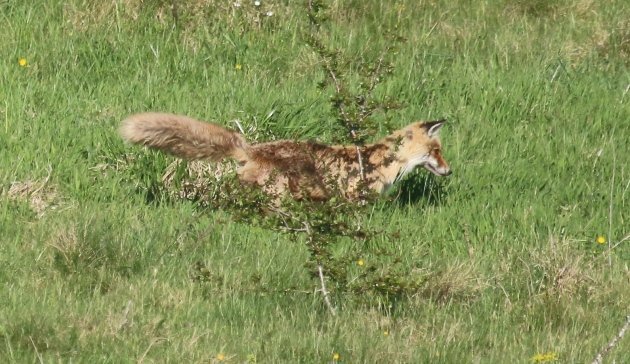 However, they tend to be rather secretive due to hunting pressure (by humans, not too many wolves yet in Germany), and are therefore a rare sight especially in densely populated areas. 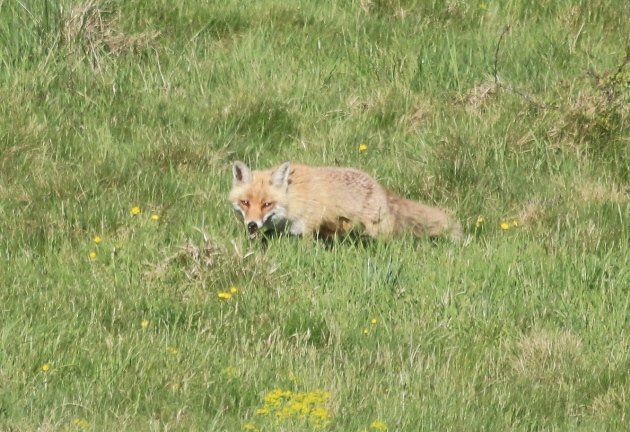 Of course this secretive nature of the foxes is challenged in mouse gradation years by the hunger of their abundant off-spring, and the parents are thus obligued to start hunting earlier in the evening and continue well into the morning. 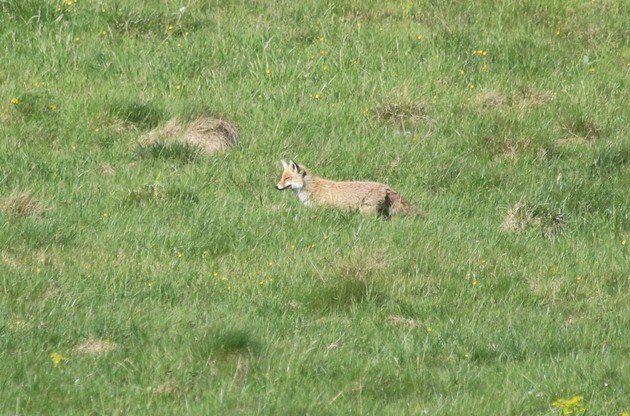 Sometimes, red foxes can even be observed hunting during the day when rodents and fox babies are plentiful. 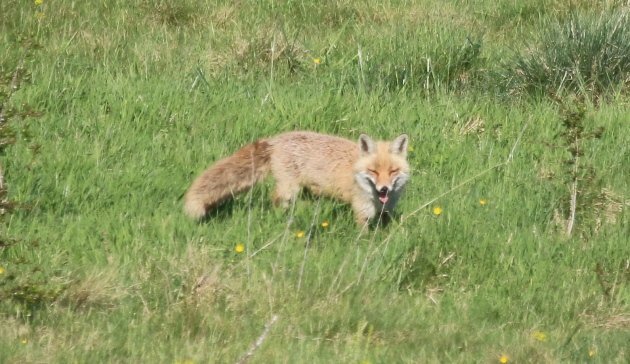 I can’t think of many sights more entertaining than a red fox scouting a meadow in search of mice – or gophers, voles, gerbils – well, mice in a German sense. 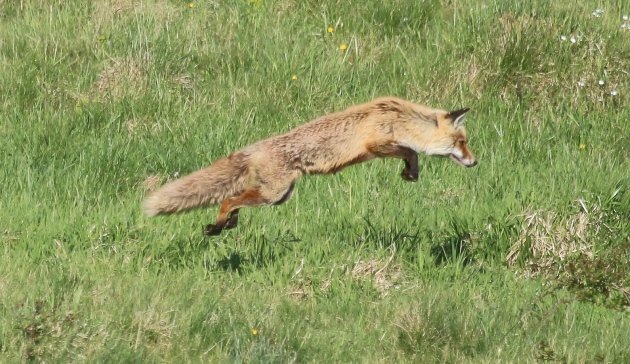 Now, I fully appreciate that Germany’s small furry rodents may have a differing perception, but to me a hunting fox resembles a playful puppy, walking about a green meadow with no other purpose than finding entertainment in curiosity, sniffing around and jumping in an overly energetic and elegant way at everything and anything that moves – just for the sake of showing off its mad jumping skillz. If “everything and anything” happens to taste nice, so much the better. If not, the fun of the jump was still worth the effort. The disdain of your writer for the language of Goethe and Schilller shows a complete ignorance of the subject not worthy of “10,000 Birds”. While the root ‘-maus’ may indeed occur in many of the names, voles, gerbils, and gophers all have specific names in German, right down to subspecies, just as in English. 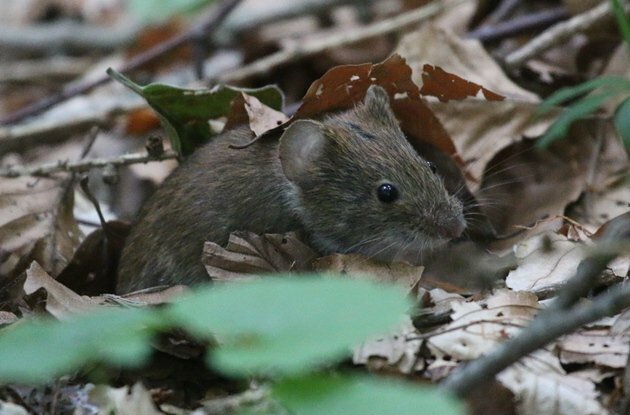 The generic name for vole is Wühlmaus, a beach vole (Microtus breweri) is a Strandwühlmaus, a field vole (M. argrestis) is an Erdmaus, a common vole (M. arvalis) is a Feldmaus, and a bank vole of different genus (Myodes glareolus) is a Rötelmaus, ad nauseam; and a generic gerbil is Rennmaus, while a gopher isn’t a “-maus” at all, but an Erdhörnchen. An ending does not a word make, and part of a name does not express the entire — I think of our ridiculously named “Carbonated Sierra Finch”. Delightful post, Jochen! And I have to confess that I initially read your jerry-rigged term as mouse “graduation” — the thought of a whole crop of fresh-faced mice graduating, only to get eaten in a cruel world, is a bit comical, and perhaps not unfamiliar to recent college grads.